A car wash is a much needed business. On the East Coast, the winter months are hard on the paint and body of a vehicle because of the salt that is put on the roads when it snows. On the West Coast, the sand can rot away the body of a vehicle if left on for long periods of time. More than those corrosive items, though, many people take pride in their vehicles and like to keep them clean. 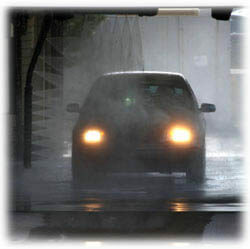 Most choose to do so with the help of commercial car wash system businesses like yours. Anyone who owns a car wash, self car wash, car wash boom or truck washing business can greatly benefit from the best pressure washer system designed to work with a car wash. This car wash system is not only durable but can be customized to suit each of your washing needs. Washing commercial vehicles is certainly one area where our level of knowledge, commitment, and background come into play with regard to lots of different cleaning problems. The incessant advancement and study that is put into modern car wash systems has resulted in the enhancement of both the performance and the model of the car wash. Also, with additional advantages added, each customer who comes to your car wash has an easy experience that will make them want to come back for more. Car wash system ceiling booms are available in a variety of sizes and versions. The ceiling booms are usually ready for installation into any car wash bay. There are several reasons why to choose these specific ceiling booms that work in conjunction with a high-powered pressure washer. Not only are the car washes ceiling booms available in a multitude of types and sizes, but the booms can also be upgraded to adjust to your temperature and pressure specifications. Moreover, the ceiling booms have ball bearings that lubricate themselves and swivels that will never let you down, and the pressure washers comes with an insulated hose designed for high pressure. Finally, the ceiling booms are made from stainless steel that will never fail to shine. The car wash systems ceiling boom and air system boom has an adapter that swivels with water inlets on both the side and top water so that your installation will always be an easy one. The hose guard is integrated tension buster to keep you and your customers safe. The car wash equipment is extremely durable with the instructions you need to get it right the first time. Truck and bus wash booms feature a wash solution that uses a combination of a wall boom extension and a ceiling boom. The greatest benefit to the operator of the wash is that the extended reach is forty feet. The wall boom extension and ceiling boom combination is made from top quality stainless steel tubing.